Everything you wish for you'll find on a South Africa trip—the chance to relax on a quiet beach, visit a world-class winery or witness the breath-taking wildlife of Africa on an exotic safari. Our safaris in South Africa include Kruger National Park, Sabi Sand Game Reserve, and Phinda Private Game Reserve. 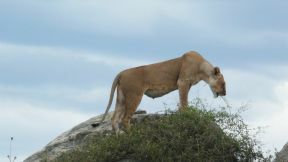 Amazing year round weather and fantastic safari lodges provide for incredible African Safaris. 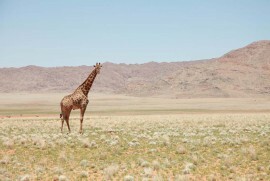 New Adventures offers a range of different types of safaris in South Africa. 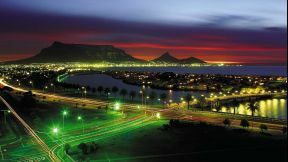 Our South African tours and packages also include Cape Town, widely described as one of the world's most beautiful cities. Cape Town is comprised by the contrasting landscapes of the Atlantic Ocean and Table Mountain combined with history and urban chic. You'll love visiting this unique city. 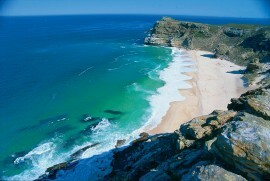 Nestled between rugged mountains, the Cape Winelands are within a few hours of Cape Town. The Cape Winelands have become a world class wine producer and will not disappoint. 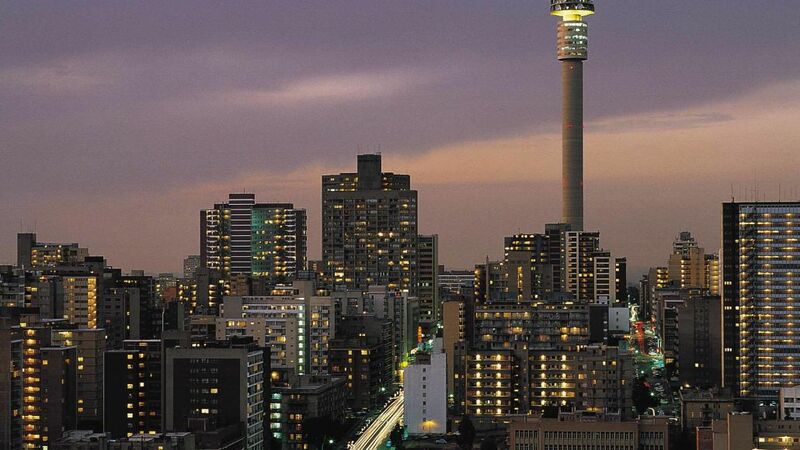 All of our tours and safaris can include an extension to Johannesburg, “place of gold”. You can visit the Apartheid Museum, Constitution Hill, Soweto, and the “Cradle of Humankind”. Enjoy a romantic journey, combining exciting wildlife safaris and tranquil, remote beaches. 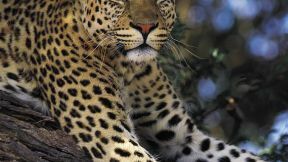 Search for the Big Five in one of South Africa’s premier wilderness regions followed by the romantic allure of the pristine beaches and balmy seas of beautiful Mozambique, the pearl of the Indian Ocean. Includes the Ngala Private Game Reserve which shares unfenced borders with the renowned Kruger National Park, and the Sabi Sand Game Reserve, undoubtedly the most prestigious game park in South Africa where the best Big Five viewing guarantees an amazing experience. After 5 days in the bush it is time for rest and relaxation in Seychelles at the fantastic Hotel L'Archipel. this African experience is sure to thrill both adults and children alike. Experience an amazing adventure traveling the highlights of South Africa, Botswana and Zimbabwe. 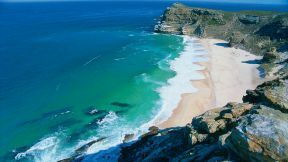 Expereince vibrant, cosmopolitan Cape Town as well as search for the Big 5 in world famous Kruger National Park. 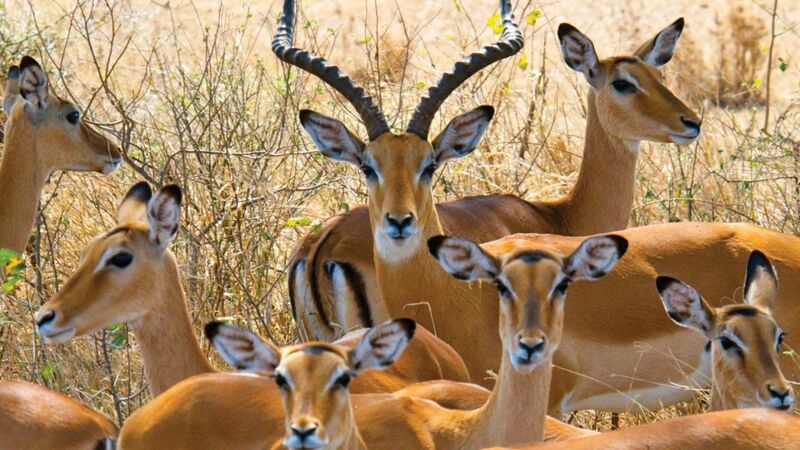 Explore Botswana’s wildlife on game drives, bush walks, and river cruises. If you enjoy a bit of adventure, this trip is for you! 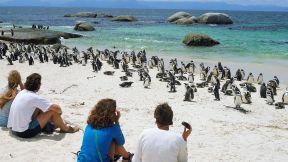 Explore some of South Africa’s best sites, from vibrant Johannesburg to the beautiful Winelands and Garden Route, and then a wildlife safari. Add thrilling activities of your choice. Track wildlife through the Ngala Private Game Reserve to the lush habitats of Phinda Private Game Reserve. Night drives at Ngala offer incredible predator sightings. Track the elusive cheetah and encounter the black rhino. 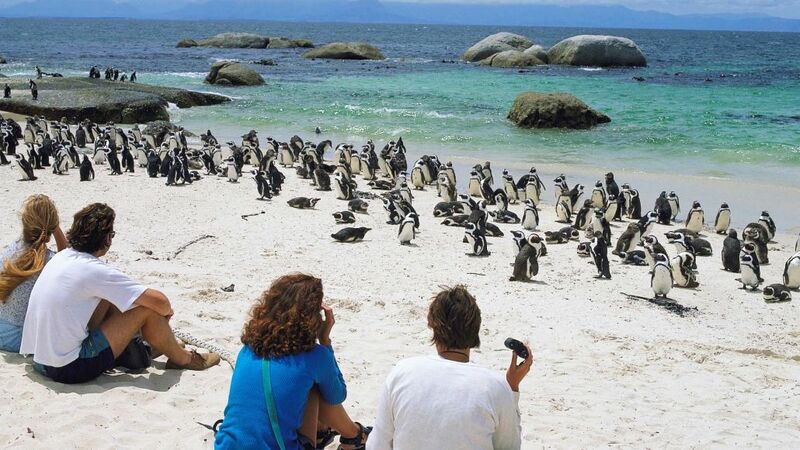 End your safari in the shadow of Table Mountain in the cosmopolitan melting pot of Cape Town, with its endless beaches and breathtaking scenery. South Africa. A magnificent destination to reawaken your soul. A diverse country where one can experience heaven on earth. An exotic melting pot of cultures, languages and traditions. 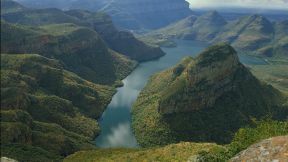 With its dramtic landscapes, different cultures, high end shopping, and activities to set your adrenaline on high, South Africa is the place to enjoy an ultimate adventure. Visit a quaint coastal village and a cosmopolitan city, quietly savor the breathtaking scenery and relax in a luxurious bush lodge, photograph the spectacular Big Five on a South African safari where animals roam free across the unspoilt African wilderness. 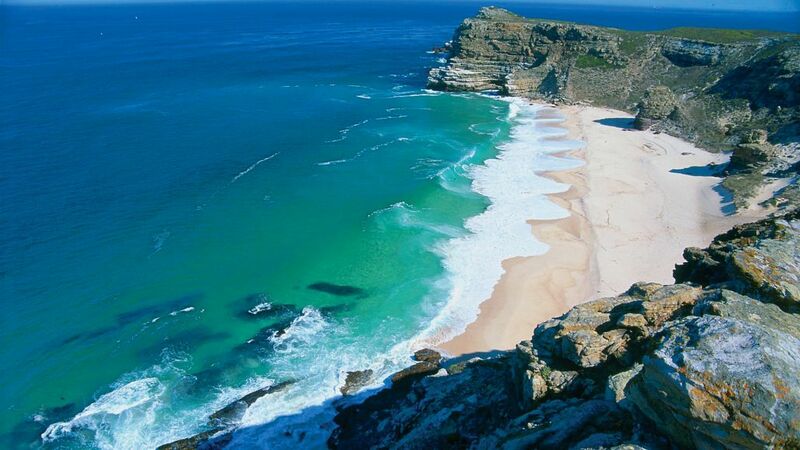 South Africa, surrounded by the warm waters of the Indian Ocean and the South Atlantic seas, is situated at the tip of the continent and boasts one of the longest uninterrupted coastlines in the world—3000 kilometers long. The climate in South Africa remains hot in the summertime months (89°- 75°) from September - April, and cools during the winter months from May - August (73°F - 46°F). Evening temperatures in the winter can be as low as 32°F. Rainfall varies regionally. For beach holidays and bird watching, summer is the preferred time to plan a trip. With the lower temperatures, game viewing is optimal in the wintertime because wildlife will concentrate in areas where water is available and the bush is less dense in the winter months, improving visibility. Unfenced African wilderness. Fantastic Big Five sightings. Diverse vegetation- forest, plains, and hills. Romantic, sophisticated luxury bush hideaways. One of the finest wildife santuaries in the world, Kruger National Park is South Africa's largest game reserve, spread over nearly five milion acres. Kruger offers visitors superb birdwatching and endangered game sightings such as the African wild dog and huge herds of elephants. 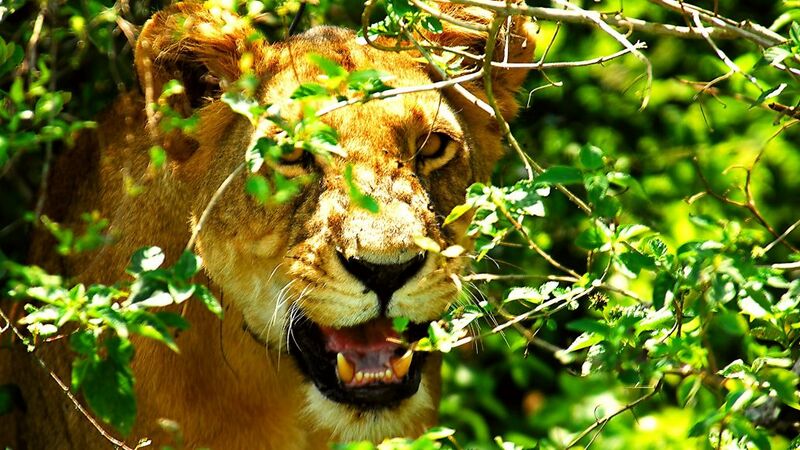 It is one of the easiest places to spot the Big Five - lion, leopard, elephant, rhino and buffalo. ​One of the first private game reserves to be incorporated into the world-reknowed Kruger National Park, the Ngala Game Reserve is one of the richest wildlife regions on the African continent. Elephant, buffalo, rhino, wild dog, spotted hyena, giraffe, and white rhino roam through this immense wilderness. 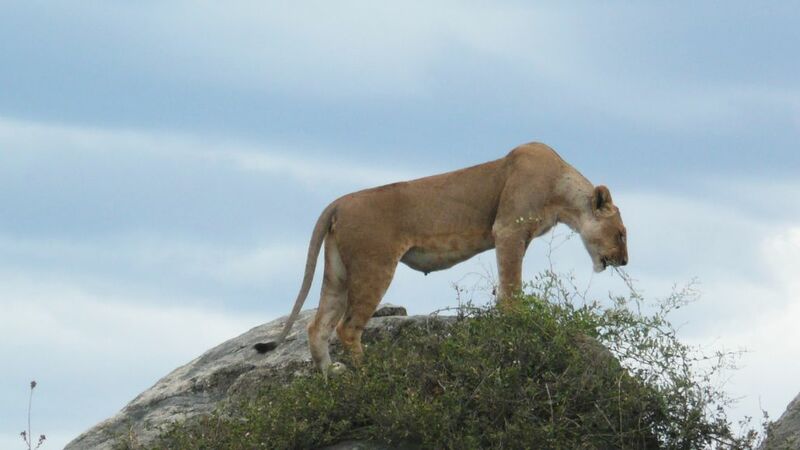 Several prides of lion call the Ngala home, as well as the elusive leopard. Two distinct seasons bring equally rewarding game viewing opportunities at Ngala. In the summer months, when the Timbavati River flows after heavy summer rains, the reed beds are an ideal place to spot water buffalo and elephant. Leopard hide in the heavy cover of the evergreen thicket, while bushbuck lunch on the sweet grasses growing at its edge. In the winter months, animals gather in heavy concentrations at water sources, and game viewing is easier. The Sabi Sand Game Reserve, siuated in the southwestern corner of the Kruger National Park, is made up of a number of private game lodges – each one differing in atmosphere – and a visit to the area guarantees a never-to-be-forgotten experience of the African Bush. With no fences between the farms (or, for that matter, between them and the Kruger Park), animals wander across vast stretches of grazing land as they did years and years ago. With one of the richest game populations in the country, the chances of seeing the Big Five (lion, leopard, buffalo, elephant and rhino) are excellent. The Reserve is also home to a host of other animals – but be warned: chances are that one visit to the area will probably lead to many more! The reserve boasts many extraordinary lodges where luxury accomodation and private plunge pools provide an elegant contrast to the rugged bushworld. Set within easy reach of the Indian Ocean coastline and the famous iSimangaliso / Greater St Lucia Wetland Park in northern KwaZulu-Natal, Phinda Private Game Reserve is known for its abundant wildlife, diversity of habitats and wide range of safari activities. It is an award-winning game reserve with a strong focus on conservation and community involvement. Thanks to its coastal rainfall pattern, the Reserve enjoys a lush green environment that contains seven distinct ecosystems. Phinda is often referred to as ‘Seven Worlds of Wonder.’ This fascinating variety of landscape and vegetation shelters an abundance of wildlife, including not only the Big Five but many rarer and less easily spotted species, such as the elusive cheetah or the scarce black rhino. With only a handful of lodges sharing an area of 23 000 hectares, and expert rangers and trackers in search of prime wildlife sightings, guests are assured an exclusive game viewing experience. Situated adjacent to the world-renowned Kruger National Park, the reserve comprises 53 000 hectares of pristine wilderness that is home to a plethora of wildlife. This exceptional habitat boasts over 40 mammal species – including the Big Five — and 360 bird species. The Timbavati is also known as the birthplace of the mysterious white lion, which have since left the area but can still sometimes be seen in the Kruger National Park. A museum within the reserve offers insight into the history of the Timbavati as well as constantly updated displays. Known by its Zulu name “Egoli” which means “place of gold”, the city of Johannesburg grew up quickly around the gold mining industry after deposits were found in the 19th century. Johannesburg is Africa's biggest city, a vibrant and cosmopolitan metropolis offering unexpected charm, bustling markets, high end shopping, a World Heritage Site—the Cradle of Humankind, and insightful visits to Soweto, Africa's biggest township. Nestled between the picturesque Table Mountain and the Atlantic Ocean, Cape Town combines historical coastal charm and urban sophistication. A beautiful city with unique architecture, a lively nightlife, world class surfing and scenic beaches, blended with a mix of cultures, Cape Town has an alluring appeal. 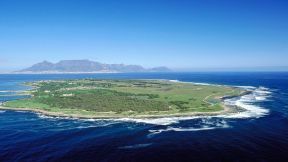 Famous landmarks include Robben Island where Nelson Mandela was imprisoned, Cape Point, Chapman's Peak- a dramatic drive along rocky cliffs, Kirstenbosch Botantical Gardens, and the Victoria & Alfred Waterfront- an exclusive shopping and tourist entertainment complex. The Cape Winelands are the fertile and abundant valleys less than an hour's drive from Cape Town that produce many of South Africa's finest wines. 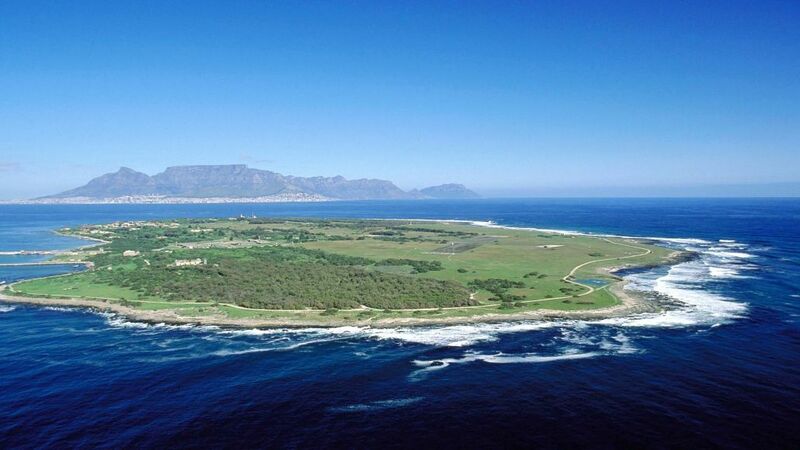 It is the largest wine-producing region in the Western Cape, the mountains and valleys covered with rolling vineyards and sprawling wine estates. Over 200 wine cellars dot the region, as well as world-famous restaurants, hotels, and romantic getaways. The French-influenced town of Franschoek is a charming town with just one main street lined with antique shops, cafés and gourmet restaurants.